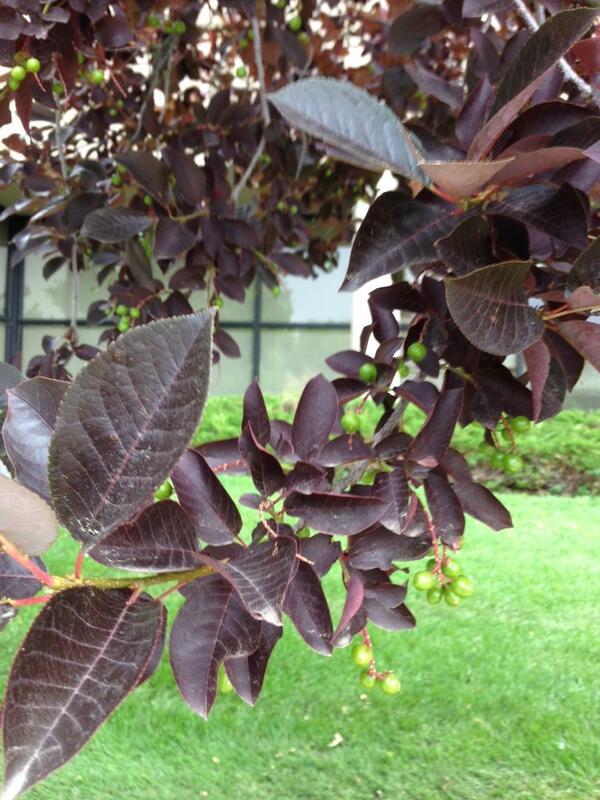 What is this small tree with purple leaves and small green fruits? 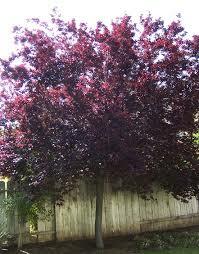 I'd like to get one of these for my back yard but I'm not sure what kind of tree it is... anybody know? 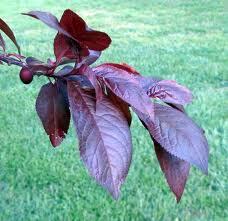 That is Purple Leaf Plum, Prunus cerasifera. The fruits will drop after coloring, so this is classed as a messy tree, but I agree it is attractive. Not the answer you're looking for? Browse other questions tagged identification trees or ask your own question. What is this tree with oval leaves and yellow flower? What kind of tree is this and what's wrong with it? What is this shrub in Colorado with white flowers and closely spaced small ovate leaves? What is this tree with ovate-elliptical, serrate leaves, and racemes of small berries? What is this potted plant with small purple berries? What type of fruit tree is this? 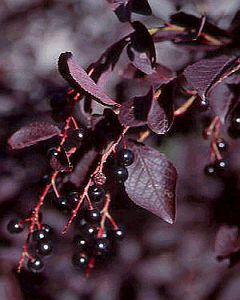 What is this low-growing bush with variegated leaves and red berries? What is this tree/bush with thorns and small blue solid fruits? What is this little, spiky tree? 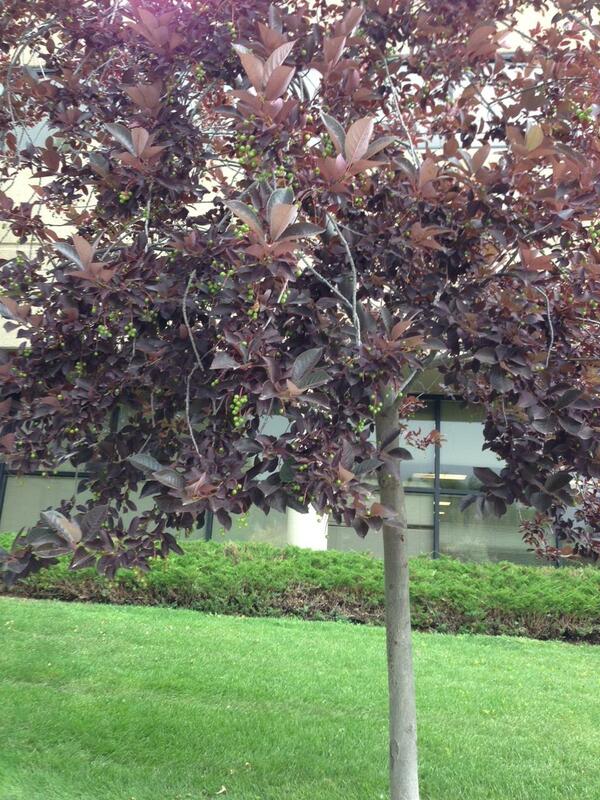 What kind of tree is this with light bark, small leaves, and purple flowers?